glo therapeutics has three fantastic serums that harness the skin-transforming power of retinol. In three blog posts we'll dive into the nitty gritty details about the retinol serums including the way they feel on the skin and what skin types each serum is best suited for. 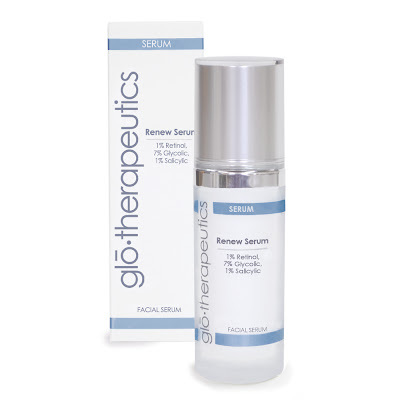 Renew Serum delivers antibacterial, antimicrobrial and oil-control properties while stimulating mild exfoliation and cell renewal to improve skin's tone and texture. It can be used by mature skin but those with oily and acneic skin usually like it best! 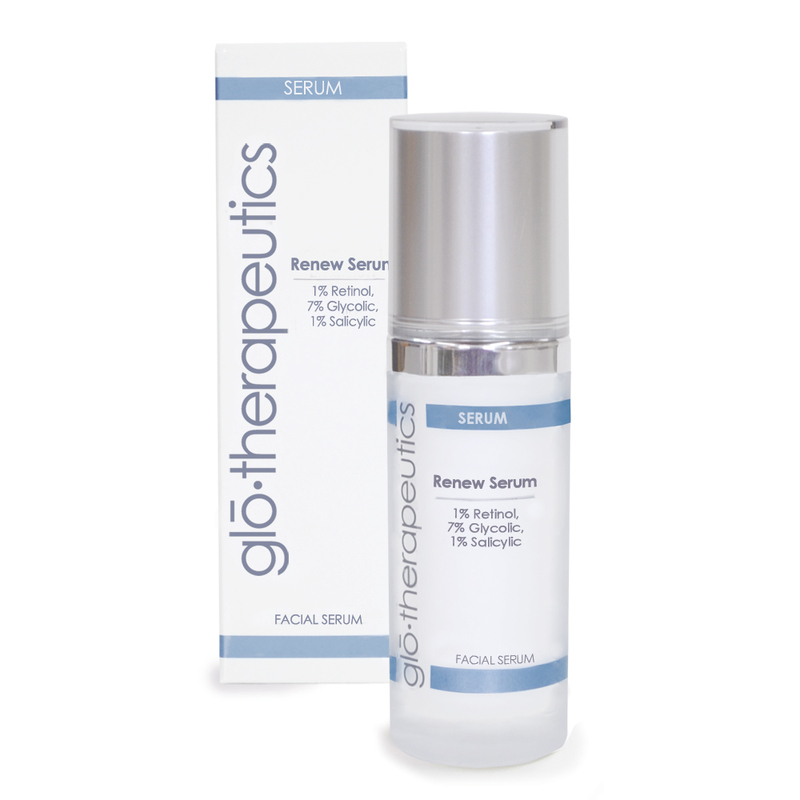 Key ingredietns: 1% Retinol, 7% Glycolic Acid and 1% Salicylic Acid work together in Renew Serum. Salicylic Acid is great for treating acne-prone skin because it penetrates into the follicle. It exfoliates and kills p. acnes bacteria. Another key ingredient, Totarol, is antibacterial, antioxidant and antimicrobrial as well. Feeling: A light, non-oily gel. Directions: Use in the evening on clean skin. Allow it to penetrate for 30 minutes, and if needed, follow with a moisturizer. Can be used 2-7 times per week as tolerated and as needed. Recommended for: Combination, acne-prone, oily and mature skin. This can also be beneficial for clients suffering from in-grown hair and keratosis pilaris. Can also be used as a home prep for professional chemical exfoliation treatments.